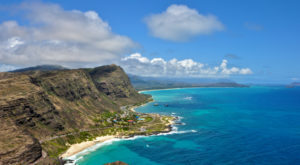 The Hawaiian Islands are home to 750 miles of stunning coastline — putting the Aloha State behind Alaska, Florida, and California when it comes to coastline length. And while among that coastline you will find countless rock formations and sea cliffs, the beaches are what truly matters. 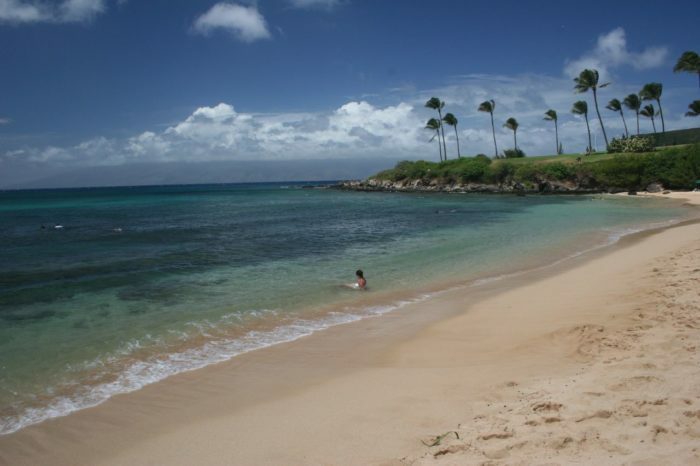 With so many stunning stretches of sand throughout Hawaii, how can you possibly choose the best ones? 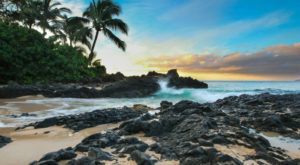 Luckily, Dr. Beach has made the decision for us and recognized this phenomenal Hawaii beach as No. 1 in the entire country, beating out beaches in Florida, California, North Carolina, New York, and Massachusetts. 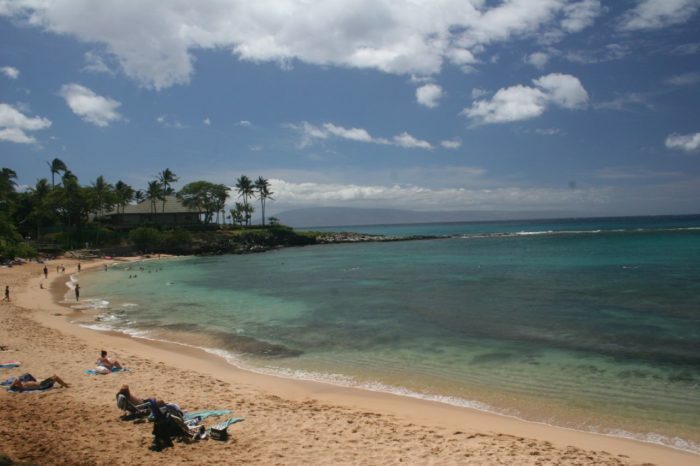 While Hapuna Beach State Park was awarded the No. 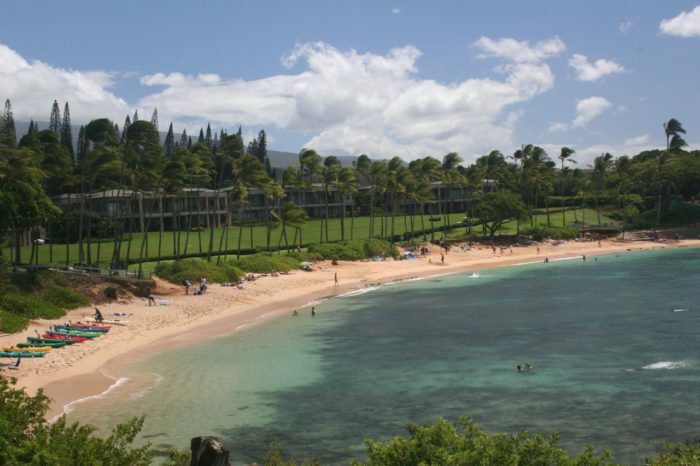 8 spot, it’s Maui’s Kapalua Bay Beach that secured the title of America’s best beach (an honor Conde Nast Traveler agrees with). Let’s take a look at what makes this stretch of sand so special, shall we? Also known as Dr. Beach, Dr. Stephen P. Leatherman, a professor at Florida State University, releases this exclusive list each spring based on 50 criteria — including water and sand quality — and there’s always at least one Hawaii beach that makes the list. 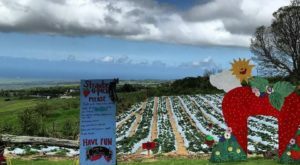 This year, it’s Kapalua Bay Bay Beach. 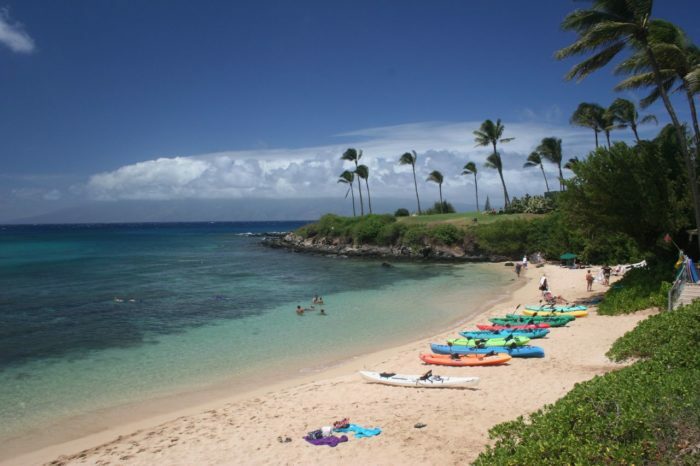 With sparkling azure water, fine golden sand, and palm trees swaying in the breeze, it doesn’t get much better than Kapalua Bay Beach. 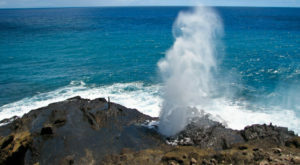 Meaning "two borders" in Hawaiian, Kapalua is bordered by two headlands formed years ago by lava flowing into the sea. Bounded by these two rocky anchors, this stunning crescent-shaped stretch of sand is as pretty as a postcard — and quite protected! Kapalua’s calm and clear water — as well as vibrantly-colored tropical sea life — make this an idyllic spot for swimming and snorkeling. You don’t even need to have your own snorkeling equipment, as there is a rental stand on the north end of the beach. Other water sports like kayaking are also popular here, and the beach itself is incredibly family-friendly. 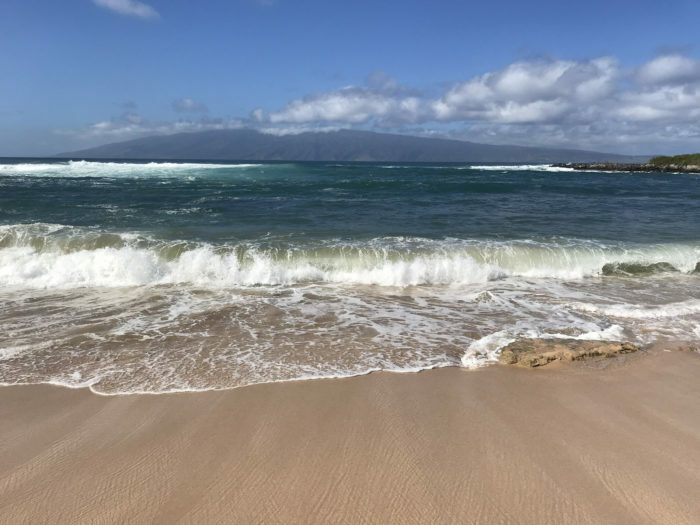 Due to its proximity to nearby resorts, Kapalua Bay Beach is one of Maui's most popular beaches, but it somehow never feels too crowded. This isn’t the first time this sheltered sanctuary has been recognized, though. 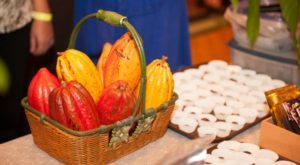 It first received recognition more than 25 years ago and has received numerous honors ever since. If you haven't visited this slice of Hawaiian paradise yet, it's about time you do. 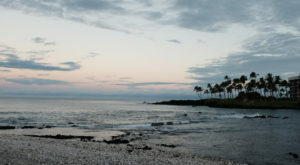 Kapalua Beach is located near Lahaina on Maui’s western coast. Have you ever visited this slice of paradise? 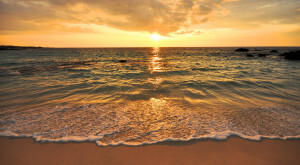 What’s your favorite Hawaii beach? Sound off in the comments below! 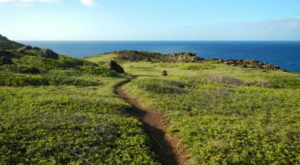 And if you’re interested in award-winning beaches on other islands, click here to learn all about the 2016 Best Beach In America winner, Hanauma Bay.